However to know for sure, they must volunteer the information, and then I must double-check their English. 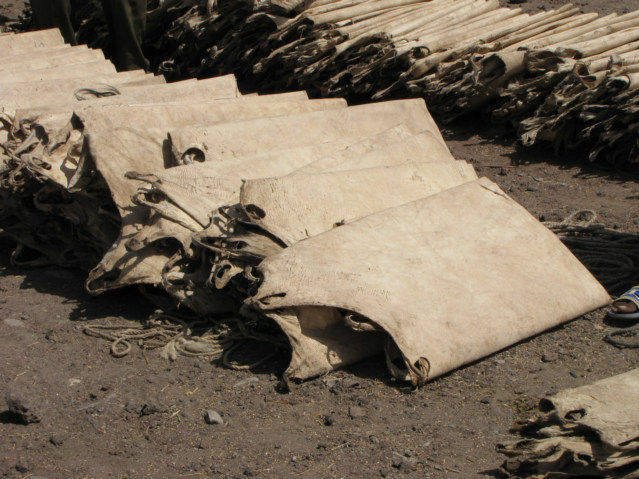 There appears to be two types of skins or hides here, I believe the wrinkled ones are Horse and the more organized ones are cows. It is also possible they are goats, but they seem big for a goat. It is possible these skins are donkeys also, I have to be lucky to just walk up and ask and learn the answers. 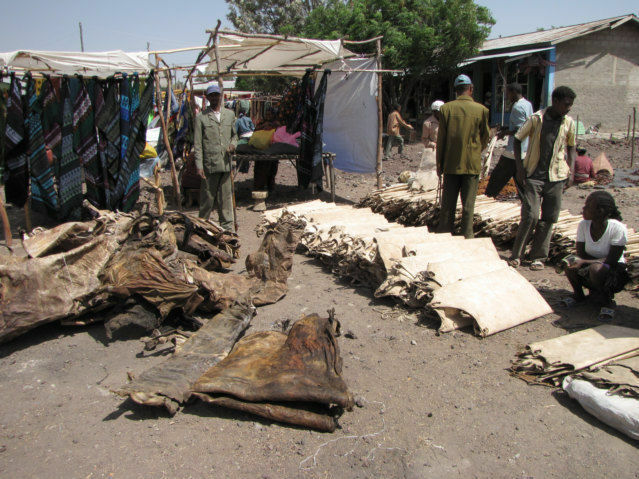 Leather, skins, pelts, there is a big Tannery Business thriving in Ethiopia and they say is polluting the streams. 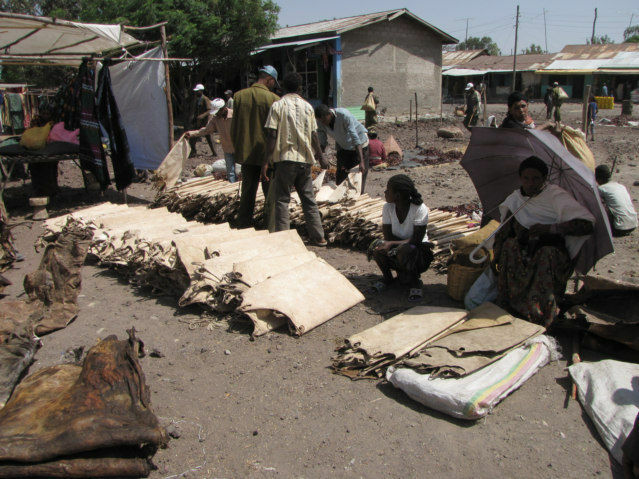 I have seen no good leatherwork done here in Ethiopia yet in my travels.